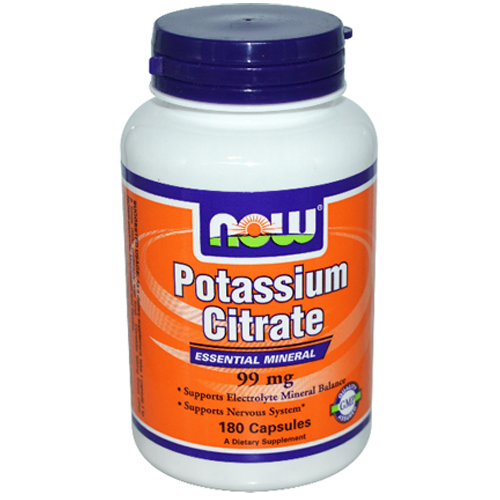 Potassium in its Citrate form is an easily absorbed and bio-available form of this essential mineral. Potassium plays a role in various bodily functions. It is key to the maintenance of the body's acid-base balance and nerve conduction as well as aiding in the transfer of nutrients through cell membranes. Food processing may reduce the levels of nutrients like potassium in foods making supplementation important if your diet lacks much in the way of fruits, vegetables, fish or whole grains. 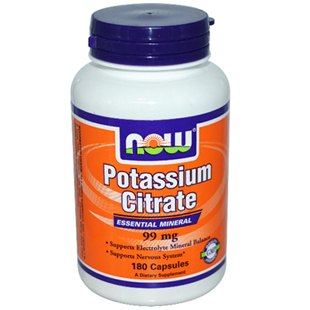 Now Foods Potassium Citrate is a GMP Quality Assured dietary supplement. As a dietary supplement, take 1 capsule 1 to 5 times daily, preferably with meals. For adults only. Consult physician if pregnant/nursing taking medication, or have a medical condition. Do not consume potassium supplements if you have kidney disease or are using a potassium-sparing diuretic. Now Foods Potassium plus Iodine is a supplement with not one but two elements vital to good health and well-being. 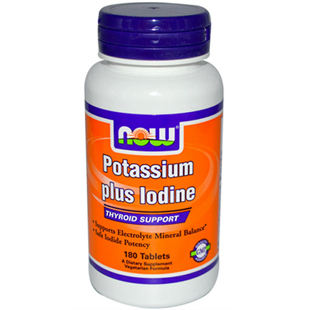 Potassium for muscle function and Iodine for thyroid support. 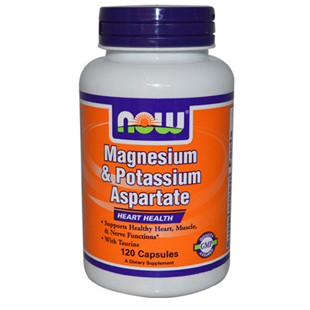 Now Foods Magnesium & Potassium Aspartate Capsules have been formulated with Taurine to provide support for heart, muscle and nerve functions.